As the Olympics and Ramadan have come and gone, so has another event – my stay in temporary housing. I won’t lie. I was a little nervous about being sent out on my own. It felt comforting and easy to be under the care of a 24 hour front desk with candies and sweet girls who were paid to be nice and chatty with me. Sometimes I even think they enjoyed the banter. I would also miss the pool and of course, the housekeeping. The housekeeping ladies and I hugged goodbye as I left to the surprise of my eavesdropping husband. When you work from home, you appreciate the help around the house AND the company. 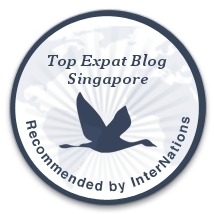 Hey, their suggestions on best places for me to live around Singapore didn’t exactly fit with my lifestyle and personality, but their kindness and anecdotes were much appreciated by an ang mo far from home. More than leaving the only few people I’d managed to connect with in Singapore, even if it was only due to daily proximity, to be out on my own dealing with real un-sheltered life and making friendships that would run at a deeper level was a bit scary. And then there was the house I was moving into. Would I like it? Would it be a big mistake? A big hassle? Should I have picked a condo instead? Despite the initial fear, I must say I am adjusting well. I love my house and it’s quirky bohemian charm. Surprisingly, I love it’s size. I always prided myself on being able to live in small spaces. It made me versatile, urban and a bit edgy. But now we have room for a guest bedroom/ yoga room AND an office, luxuries we could not afford in London. Husband and I can be in the house together without driving each other mad. In fact, he can watch the TV and I don’t even have to hear it. Plus, we have outdoor space! Outdoor space! Yes, I do miss the amenities. And the neighborhood. Sure I like the area we have chosen, but I also miss the little places in Kampong Glam that I found and considered my own. And I miss hearing the call to prayer out of my window from the nearby mosque as I worked. Not only was the call to prayer audible from my air conditioned box in the sky five times a day, but I was able to observe the festivities during Ramadan. 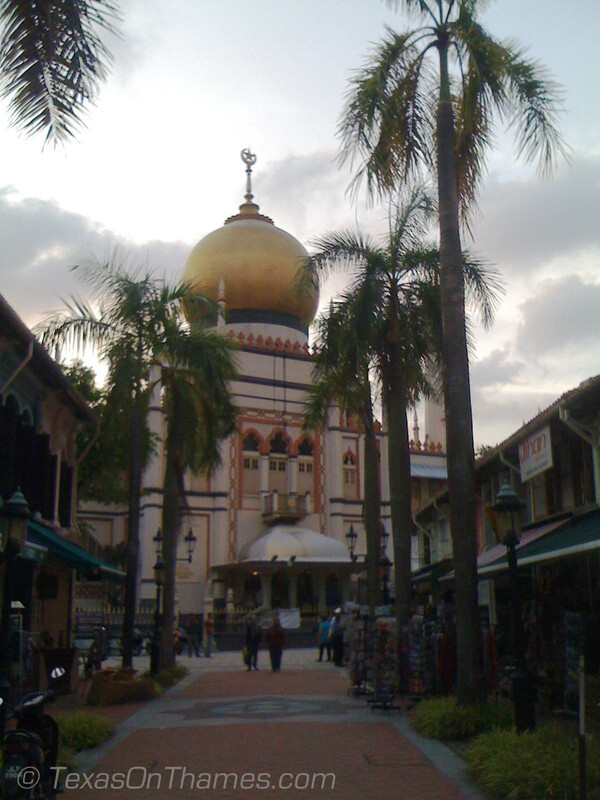 I would sometimes take walks around Masjid Sultan and see the Ramadan market outside, with treats to be sold from tents and rows of tables set up in the courtyard. Groups of people would sit waiting to break the fast together. It was quite lovely to see them and know that although they were so hungry, they were calm and enjoying being together. I miss observing the beauty in these rituals. But now it’s time to make my own. Like opening the windows in my office or daily practices in my yoga room. And once we get some patio furniture, the evening and weekend cocktails with friends. Somebody call the ladies from housekeeping and tell them to come over!